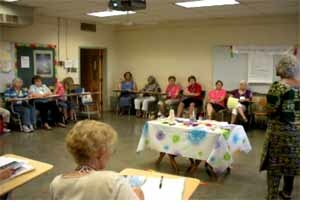 The Salem United Methodist Church has been making apple butter for their United Methodist Womenâ€™s bazaar for 40 years. It is a four day process that involves over 80 persons. They have a lot of fun and all of the money goes to mainly local but also statewide and international missions. Since most of the ingredients are donated their apple butter raises around $3,000 for missions. 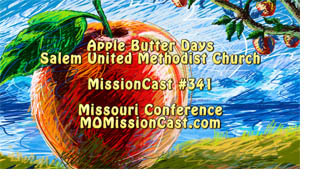 We are thankful to them for sitting down and telling MissionCast about their annual apple butter making event. The 2011 Cooperative School of Christian Mission was held at Central Methodist University, in Fayette, Missouri.Â Our thanks to Sally Holston, Dean of the the School, for coming by and sharing some of the highlights of the school for us. On September 10 & 11, which is National Service Weekend, Missouri Conference congregations will be out in their community providing all kinds of service.Â Some will be painting a public school classroom, some will be fixing and painting park equipment, some will be cleaning up a section of their town, some will be preparing and serving a meal at their local fire department, some will be visiting members of their community in the nursing home, some will be helping to build a Habitat for Humanity house…the possibilities for community service in the name of Jesus Christ and the United Methodist Church are limitless.Â Church members will be inviting members of their community to join in with them when they are looking for service possibilities themselves on this National Service Weekend.Â The actual National Day of Service and Remembrance is on Saturday, which is 9/11. Register your congregation for service at www.serve2011.org.Â There you will find all kinds of information including a list of 60 suggestions for ways to service your community. The Gathering United Methodist Church took their Easter worship service to the St. Louis city streets.Â The Gathering is just three years old and yet drew in a congregation of around a thousand for Easter.Â On other Sundays you can find the Gathering worshiping in their sanctuary which was built long ago.Â When the church closed because of to few members the Gathering started a totally new congregation devoted to offering compelling worship to new generations of people living in the city. 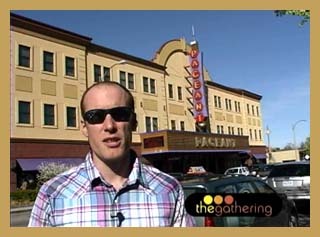 MissionCast was on hand Easter morning and brings you this overview of the service and what the Gathering United Methodist Church is all about.Â MissionCasts are usually 2 to 3 minutes long.Â This week’s MissionCast is almost 4 minutes but worth the extra minute. In MissionCast, Episode 4, Bishop Robert Schnase shares hisÂ thoughts on “Risk-taking Mission and Service”, one of five essential practices of a health church.Â He is in the process of publishing a book which includes all five practices.Â The other four are:Â passionate worship, intentional faith development, radical hospitality and extravagant generosity.